I think I’ve been mentioning the “disaster” which has befallen this website. I refer to more than two years worth of weekly blog posts were suddenly erased. No point in me explaining boringly how odd that was. Kind of like a reverse miracle, is all I will say about it. But the good news is I do in almost all cases have back-up copies, though I will have to redo the codes for each one. (It’s a process getting things rightly placed on a website). Fortunately though by now I am an old hand at that. I feel bad giving the bad news. I at last count had 269 followers. That means each of them is automatically notified when I enter a new post. And for me to fix the missing 110ish posts, will result each time one is put back in place, out will go notices of EACH one. I feel bad for my followers, who will be getting possibly an annoying number of these old notices. I have checked with my tech and he says there is no way to temporarily unfollow these people. But I do have a suggestion. My reconstituting will start with the earliest posts, dating from April Fool’s Day 2013. So if you get notices of a new post, just check if it’s a current date or if it’s one or in this case two years old. And then just ignore it. Unless of course you are curious if perhaps the early posts are any different from the recent ones. 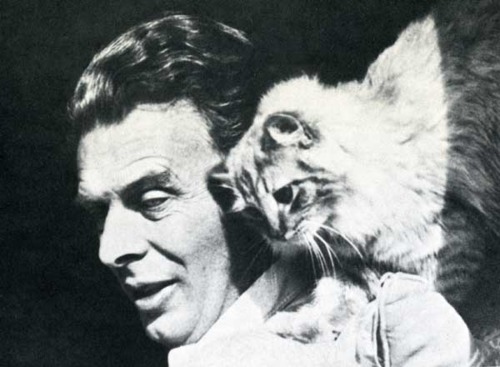 Well, it looks a lot like today’s post will be largely about Aldous Huxley. And (mostly due to the long preamble above) it will entail a lot of words, and so I expect what we have here is a two-parter. What brought Huxley to mind is something recent on the internet, an interview with Huxley from 1958. He was amazingly prescient about our current situation, psychologically, culturally and politically. Of course what else would you expect from the guy who wrote Brave New World in 1932. I’ve long been impressed by Aldous Huxley, even before I had his intersection in my life (Don’t get excited, I never did meet him, though he died in my Aunt Edel’’s house which was the altar I worshipped upon on my yearly one-week pilgrimages there. * This was when I was between seven and eleven years old, living in a scenic country orphanage. Not that it wasn’t a magnificent house, vastly worth remembering, just in itself. Even cherishing. It was an old Spanish colonial mansion built over a hundred years earlier, in the inimitable style of the Spanish colonial mission times. It was the same thing with Nixon’s “Western White House” in California somewhere. Except Pat Nixon painted yellow the two century old giant exposed ceiling beams, which were living antiques; it takes two hundred years to get the varnishing that aging lends. And it’s never recoverable even if you stripped off her yellow paint. One should not be free with the epithet nouveau riche but . . . but. . .
And so to undigress, the house was on the hillside just under the famous Hollywood sign. Which looked large indeed from my Aunt Edel’s semi-enclosed limestone patio. If anyone should doubt my connection to this house, I call your attention to a test of my honesty: Check the limestone of the back patio floor (6233 Mulholland Highway was the address.) till you’ve tracked down the piece with a perfect six inch long fish skeleton. That fascinated the hell out of me; at that age I was a big geology fan. In fact a redeeming feature of the orphanage was that the first three grades I went to a country schoolhouse, with just two rooms and two teacher, one of whom taught both second and third grades. And she knew my mother was awol, and so (especially in the summer) she often took me to her house to help in her garden and gave me tomato and mayo sandwiches, the fresh tomatoes being from her garden. It was ambrosia to me. And she knew I loved fossils and she gave me a college textbook, “Introduction to Historical Geology” which was way beyond my reading level but I sure did love the illustrations of all the dinosaurs, and I memorized all their names. Did I mention the living room was giant? I mean vertically too. The ceiling beams needed to be big (12”x12” as I remember) to be seen from the floor because the span of beams was more than two stories high. There were everywhere French doors and two story high French windows. And it had a walk-in limestone fireplace. I mean there was head clearance enough for normal-sized people to enter without stooping. An advantage of a house with two story high living room is that then you can have a side balcony off the upstairs floor, where people can stand and chat with people down below ensconced in the Napoleonic era antique furniture favored by my aunt. Have you ever seen two story high drapes? It had those all the way up to the top of the French windows. Sorry if this house talk bores you. But if you will bear with me, next week I will have more to say about Huxley, and a bit about his wife too. It’s just that you must know how important that house became to me, as a symbol, yes; but we all know the power of symbols: They resound like cymbals. And of course, Aldous Huxley himself did not buy the house for nothing. *Aunt Edel was childless, and her only sister had only the one, my mother. Yet she had a certain maternal instinct, mostly centered on a desire to educate youth. And so there being only a bite-sized challenge of four brothers (Oddly because of no branches in the family tree, there were no cousins or competition of any sort. In my family, if you wanted a kid interaction, I and my brothers were the only game in town. ), it was arranged that each of us, once a year got to hang with her for a week. **Uncle Charley was an interesting man. Though Estonian, he was forcibly drafted into the Russian Czar’s army in the First World War. But he escaped. Five times he escaped. Four times he was recaptured. I remember the story when the famous actor Ward Bond died, how graciously his wife still bought the suits he’d made for him, though of course now they would be useless to her. And in those days, five thousand was big bucks. He told stories about his friendship with the usually drunk William Faulkner, who along with Aldous Huxley, worked in Hollywood where the money was–screenwriting. Uncle Charley reportedly was quite shy with women. Maybe even just socially in general. Because apart from his first wife, his only friend was my Aunt Edel. She and Iris and Uncle Charley had made a tight little coterie. (All three being quite cultured). But that was before Iris died, in a tragic fall down the winding staircase. And then Charlie of course married my Aunt.